Save more than Groupon when purchasing directly from MENS SPA SALON MINNEAPOLIS! Improve your overall health and wellness with the impactful therapeutic benefits of massage. Did you know that massage is known to promote healing, relaxation, and rejuvenation? By simply applying various forms of touch and pressure, MENS SPA SALON MINNEAPOLIS’ therapists will help you regain a sense of relief. We invite you to discover the benefits of massage therapy today. 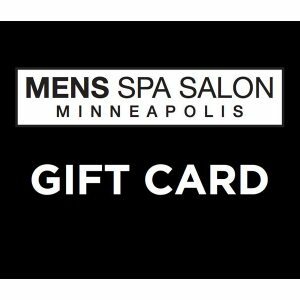 Save on your 50-Minute Full-Body Massage Session at MENS SPA SALON MINNEAPOLIS by purchasing a gift card today for only $59 (a $100 value)! Hurry, this offer is only available for a limited time offers a greater discount than Groupon! Promotional value expires 90 days after purchase. Amount paid never expires. Appointment required. Merchant’s standard cancellation policy applies (any fees not to exceed voucher price). Limit 1 per person, may buy 10 additional as gifts. Limit 1 per visit. Valid only for option purchased. All goods or services must be used by the same person. Must use promotional value in 1 visit. Merchant is solely responsible to purchasers for the care and quality of the advertised goods and services.